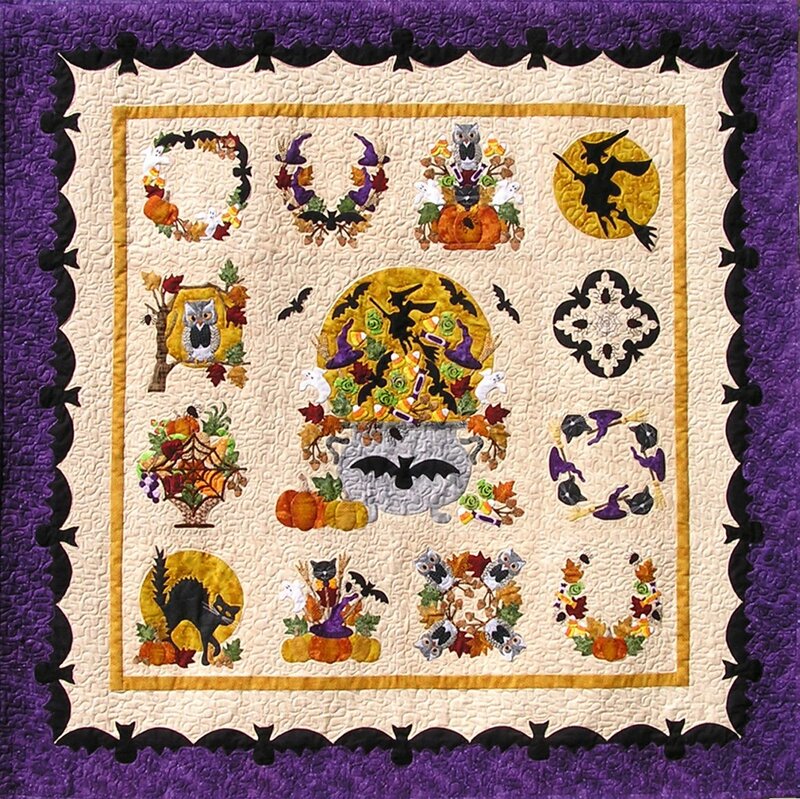 Baltimore Halloween 13 pattern Set - 13 pattern set – no fabric just patterns! I started out designing a traditional Baltimore style quilt, and then things got a little spooky, as ghost, owls, bats, pumpkins, candy and witches filled my drawing board. The 20" x 20" center medallion block is surrounded by twelve 10" x 10" blocks and finished with a scalloped bat border just for fun. Full pattern set includes 13 individual pattern leaflets and full-size 20" x 20" pattern for the center medallion block.